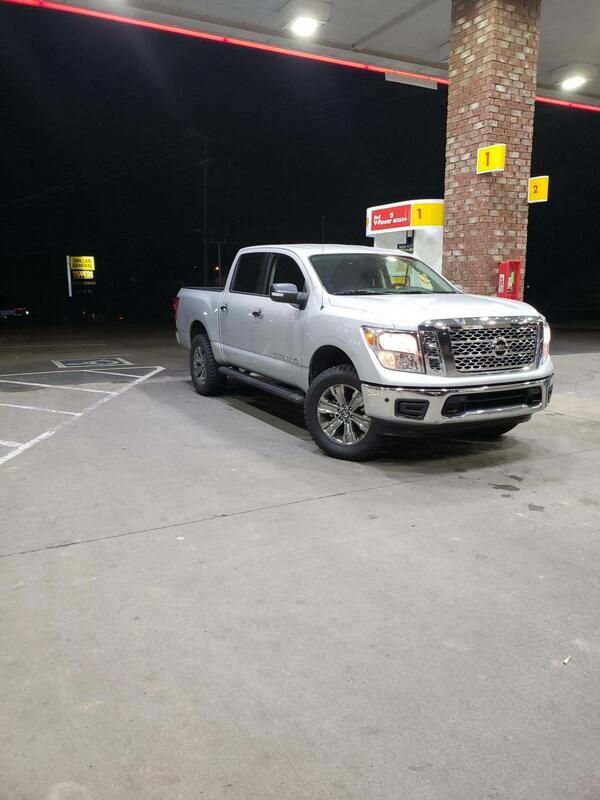 Nissan Titan Forum > Nissan Titan General Forums > Titan General Discussion > 18 Titan Almost Done! 2018 with some 295/60R20s on a 3" Lift and Level. Show me your Titan! Re: 18 Titan Almost Done! You want us to show you our Gen 1's? Show them all! A Titan is a Titan right? This isn't FB you could take a look at this thread all 444 pages and post a picture of yours? Great looking pick up. Glad you posted a pic to show it off. Looking forward to seeing more of your posts and pics of your Titans. 1 Attachment(s) 18 Titan Almost Done!